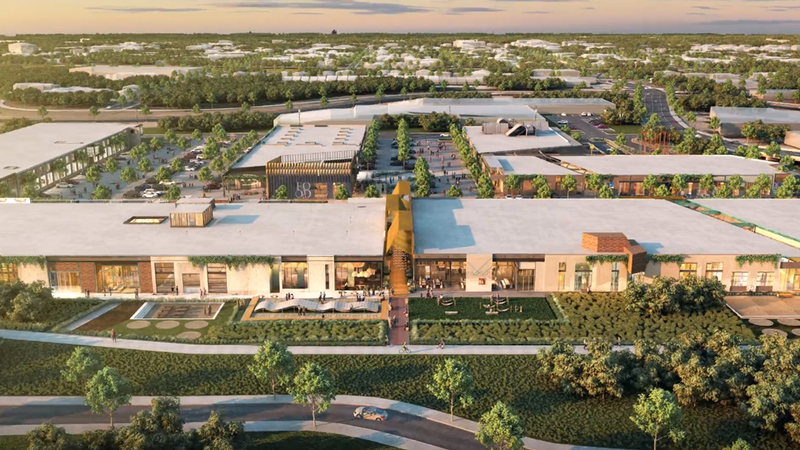 G2LD is pleased to be working on the innovative new retail and office development of M*K*T in the Greater Heights area of Houston along with Radom Capital and the design team of Michael Hsu Office of Architecture, SWA, and Method Architecture. The 12-acre development takes a creative approach to the adaptive reuse of 200,000 sq. ft of unremarkable 1970s warehouses, turning them into a vibrant destination for shopping, dining, fitness and office space. A combination of architectural lighting and on-trend decorative lighting illuminate a new modern canopy that defines the circulation between two of the renovated warehouse structures. The local team challenged the notion that successful mixed-use projects must demolish the past, and the partnership is committed to contributing to the neighborhood through restrained scale and distinctive architecture. Bird’s eye view of the 12-acre development, which includes 200,00 sq. ft of mixed-use buildings and 3 acres of park along the Heights Hike and Bike trail. Different architectural and lighting looks are introduced throughout, keeping the scale and feel appropriate for the eclectic residential neighborhood of the Heights. 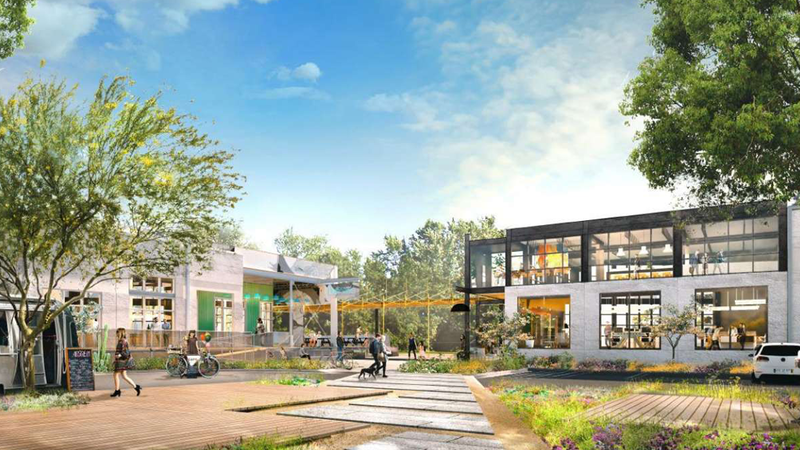 The five industrial buildings on the property will be redesigned and repurposed — and in some cases, deconstructed — as a walkable development that also will include parks, public art and abundant bicycle parking. The property’s location is along the Heights Hike and Bike Trail and very close to the White Oak Bayou Trail to the south. M*K*T sits at the epicenter of Houston's award-winning trail system, linking 150-miles of greenways and trails. Ample green space is incorporated throughout the development for aesthetics, rest and socialization. The development is named after the historic Missouri-Kansas-Texas (MKT) railroad line. This abandoned rail line was transformed into the vibrant MKT Heights Hike and Bike Trail that will form the project's 3-acre linear park. 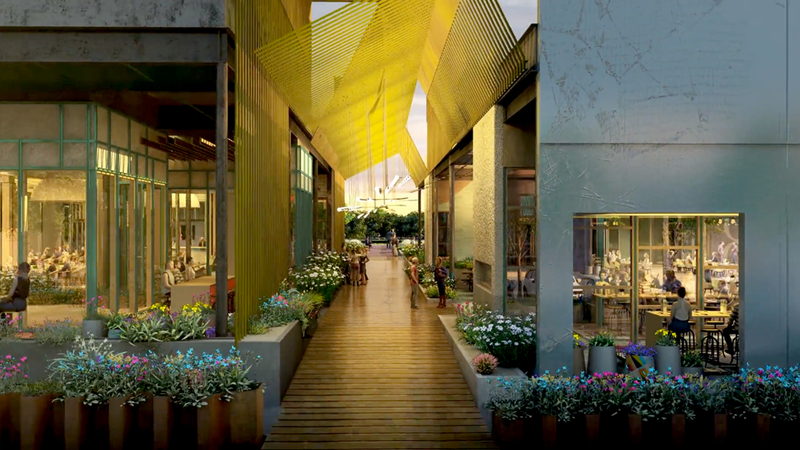 The Heights has become a popular destination for walkability and urban living, which M*K*T strives to enhance with this project. Recognizing that much of the success of such a development hinges on evening visitors, the developer engaged our team at G2LD to ensure lighting completed the picture of a safe and attractive nighttime destination. 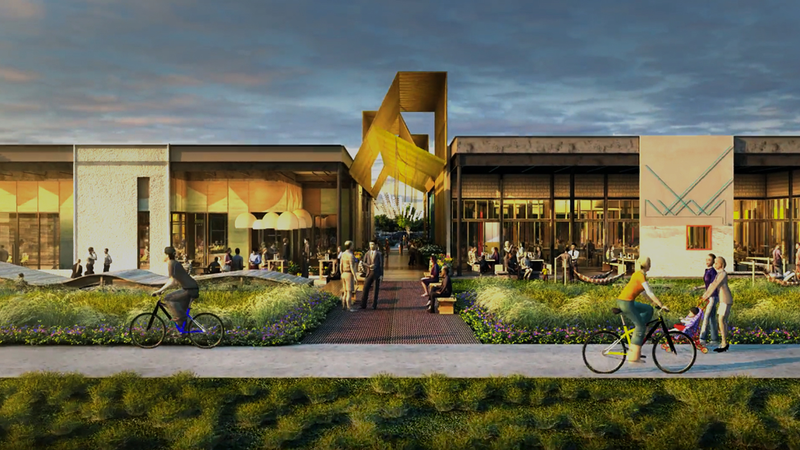 Adjacent to the Heights Hike and Bike trail, and very close to the White Oak Bayou Trail, M*K*T is situated to be a major destination and amenity for over 150 miles of connected trails. 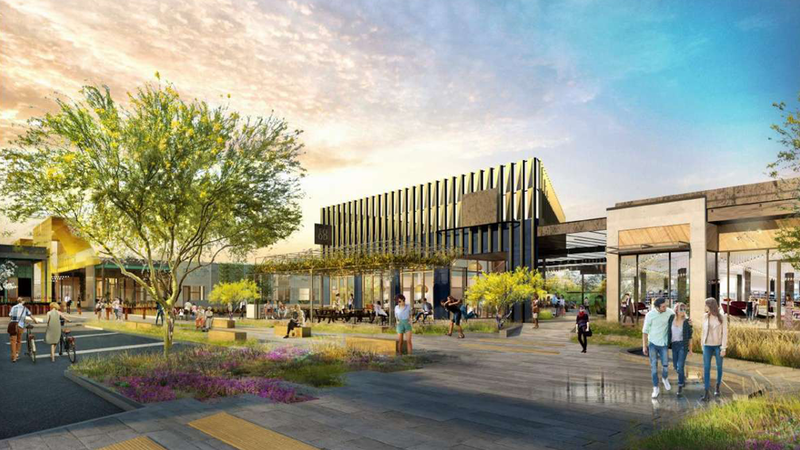 Slated for a 2020 completion, the development will be split equally between office and retail space.